i like new stuff. new stuff is good because, well because it's new stuff. and it's not old stuff. it will be old stuff sometime, but for now it's new stuff. new stuff comes with baggage; learning to love it if it replaces old stuff, or learning to use it if it's regarded as progress. in this case, i knew it was arriving with baggage because that was sort of implied by the nature of the beast. if i have to blame anyone, i'm aiming for pret a manger at smithfield. sitting in the company of gem bianchista atkinson, devouring a paprika splattered sandwich and some form of smoothie, rapha's james fairbank passed by. if he'd simply said "hi" and walked on, you'd be reading none of this. so if i'm truly honest, it's really james's fault. james, ultan and initially graeme raeburn have been riding themselves silly over distances that would scare a few motorists, training for the 90 hour, 1200km paris-brest-paris. in honour of such an undertaking, raphia have issued a rather splendidly pragmatic brevet jersey, and it is this particular item that comes under my heading of new stuff, along with its considerable baggage. 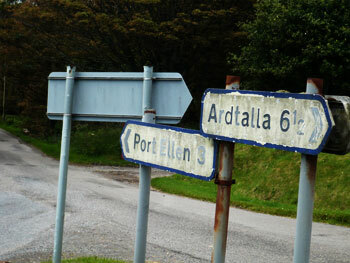 for surely it would be a travesty of reviewing to spend less than a modest audax distance inhabiting said jersey? say, 200km. the danger of not being seen on islay's roads is not entirely a problem that occupies the front and centre for the indigenous cyclist. if truth be told, there are so few of us, even when augmented by the influx of summer cyclotourists, that the act of riding a bicycle is to raise one's visible profile sufficiently enough to avoid any serious car/bicycle interface. 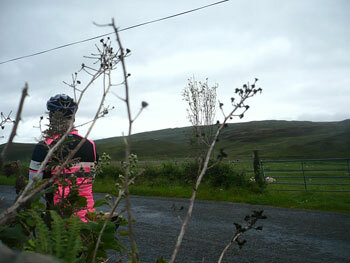 sadly the same cannot be said about sheep; they are apparently immune to the sight of a rider clothed in fluorescent pink. however, the serious audax rider, when attempting distances considerably in excess of my rather paltry 200km, will almost certainly need to pedal through at least a few hours of darkness, and visibility is then of prime consideration. the hi-viz vest (i prefer to think of it as a gilet; so much more refined) that accompanies the brevet jersey really ought to have a volume control. if ever you are forced to ditch in the sea, i guarantee the helicopter will find you first. though slim of fit, there is enough leeway to fasten over stuffed rear pockets, one of which contained the ever necessary rainjacket. way back in the early nineties, prodded by an article in bicycling magazine, i took off one sunday morning to ride one hundred miles by tea-time. it seemed like a great idea at the time, but in true adventurous fashion, i was woefully ill-prepared for such a distance. now it's called the ride of the falling rain. i think i may have managed to repeat the mistake on thursday. three apricot chewy bars and a bottle full of bikefood berry flavoured carbo drink now seems slightly inadequate for a 200km ride, even allowing for the fact that there would be a stop at debbie's around lunchtime. if only i'd thought of that before stepping out the back door. garmins display too many numbers for my liking, and i was never that great with maps, so i had mentally estimated distances from place to place, reckoning that ten score kilometres was do-able without scuttering about the back roads in needless fashion. turns out i was closer than i had any right to be. though summer be its name, and pleasant sunshine gave the rain a break for at least a day, unlike the sting album of the same name, the mercury was definitely not rising. the scary pink gilet came in very handy for those opening kilometres; each time i thought decorum would dictate its removal, the ambient temperature decided otherwise, and it remained my outer shell for at least 25km. consider the logistics: one of those three back pockets has a rainjacket, the middle has three apricot bars, and the outer one is keeping my camera safe. a rolled up, bright pink gilet is likely to overstay its welcome in the luggage compartment. now i realise that the true audax rider would never leave home without an attendant saddlebag, but my amateurish approach had not given this a second thought. there was the rapha continental seatpack of course, but that was merely for tools. this is the part that gives versatility a good name, for the jersey features a large zipped pocket sited above the regular three which easily swallows the gilet, and is handily sized for a map or two into the bargain. you would laugh if it told you i needed a map to circumnavigate the globe; i didn't, and your laughter can be directed elsewhere. 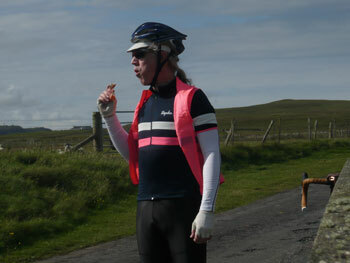 by the time a stop had been enforced at saligo to remove and stow the gilet, as well as scoffing the first of those three apricot bars, it had become an altogether warmer day, probably the perfect reason for a full-length zip on the jersey. i am loathe to bore you with a blow by blow account of the subsequent kilometres as i fear they may be akin to watching paint dry. suffice it to say, i was 15km out in my estimate, arriving home with 185km on the bbb computer attached to the cielo. it gives me little pleasure to recount that it wasn't the distance that had me almost on my knees by the end, but the appalling state of islay's roads, which had effectively pummeled me into submission. it would not have been too much trouble to find those extra 15km, but i had no great wish to play the numbers game, happy to be leaning against the bike shed for support. it turns out that one 500ml water bottle ireally isn't sufficient for such a distance (like that came as a surprise), and a brief pit stop at port ellen co-op for a bottle of highland spring was less of a convenience, more for basic survival. and i should have gone for that slice of carrot cake at debbie's after all. a brevet or randonneur is the correct term for long distance cycle rides, realistically commencing at 100km and working their way through the hundreds to the 1200km of paris-brest-paris, though i believe for the truly deranged, 1400km events exist. though the courses are undesignated, it is generally a requirement that the riders pass through check-points on their way to nirvana or oblivion (delete as applicable), at which their brevet cards are stamped. 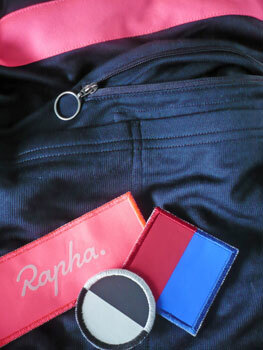 rapha's jersey, designed specifically to encompass this sort of riding features a zipped pocket on the left breast, capable of storing said card. confusingly, the jersey arrives with this pocket containing three sew-on patches. neat, but confusing. for obvious reasons, since i only thought of undertaking this insanity at the beginning of the week, there was no time to install checkpoints around the island. aside from any other consideration, they'd have been stood there for one heck of a long time. and, of course, i have no idea what a brevet card looks like. i therefore took somewhat random photographs around the island; i'm sure the metadata on each image will confirm that i got around a bit. perhaps i should upgrade to gps tagging? my time for covering the 185km was eight and a quarter hours, give or take the odd minute. audax rides (the uk term for a brevet or randonneur) generally have a completion time attached; these rides are not races, so it's up to the individual whether to go slow and steady, or fast with numerous rest stops. how close i was to finishing in a respectable brevet time, i have no idea. it beggars belief that the pros race over this distance, and still have the energy to sprint at the finish. i freely offer my services as lanterne rouge. i'm happy to say that my every other ride undertaken on islay (or anywhere else for that matter) is confined to a far shorter distance than even my thursday outing, but when duty calls, i'm right there whimpering. the rapha brevet jersey is little short of a masterpiece. the fit is superb (on me at least), the sportwool is everything we've become used to from perren street. i can see no argument against either its high visibility hoops (front and back) contrasting the navy blue of the jersey, the pink edging to the sleeves, or that brilliant (in both senses of the word) pink gilet. 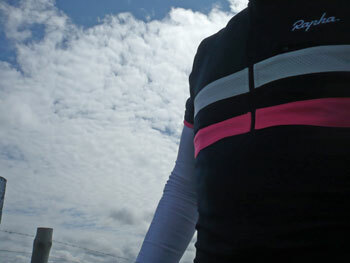 if you only have room for one rapha jersey in the wardrobe, this should probably be it. 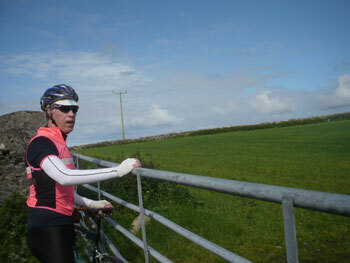 i enjoyed the experience so much, i went out for another 80km on saturday morning. it's still james fairbank's fault. either that or pret a manger. 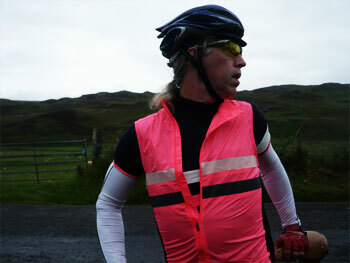 the rapha brevet jersey, with complementary high-visibility gilet retails at £155 ($205) in dark blue with white and fluoro pink hoops front and back. sizes are from xs to xxl. if you purchse one, be sure to have fun trying to fin the ubiquitous story label. i'd love to help you, but i'm sworn to obfuscation.